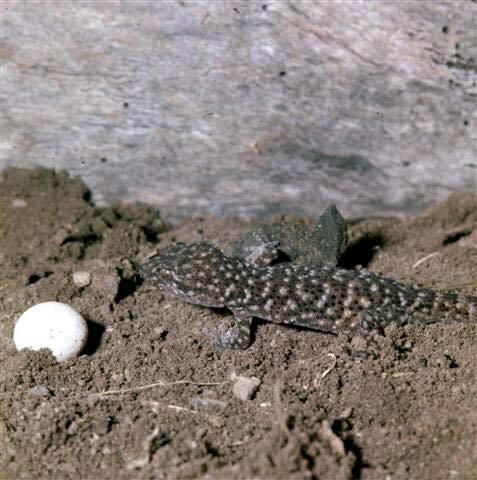 Like most lizards worldwide, the Australian Bynoe’s gecko (Heteronota bynoei) lays eggs – known as ovipary. By contrast, only one species of New Zealand lizard – the egg-laying skink (Oligosoma suteri) – lays eggs. All others give birth to live young – know as vivipary. Live birth is thought to be an adaptation to New Zealand’s cooling climate during the ice ages – most other viviparous lizards also occur in cooler regions of the world.